The Maruti Dzire petrol AMT is available in three trim levels - VXi, ZXi and ZXi+. The Maruti Suzuki Dzire ZXi AMT, which is the mid-spec petrol automatic version, is priced at Rs 7.52 lakh (ex-showroom, New Delhi, as of April 18, 2017). In terms of features, the Maruti Dzire ZXi petrol automatic carries over the goodies of the VXi trim and comes with a few additional ones from the top-spec ZXi+ trim. It gets chrome window sills and 15-inch alloy wheels with 185/65 cross-section tyres. On the inside, the double-din audio system has been carried forward from the V trim, but gets two additional tweeters. Also offered is a leather-wrapped steering wheel, passive keyless entry with push-button engine start-stop, auto climate control, electrically foldable ORVMs and an auto up/down driver window. 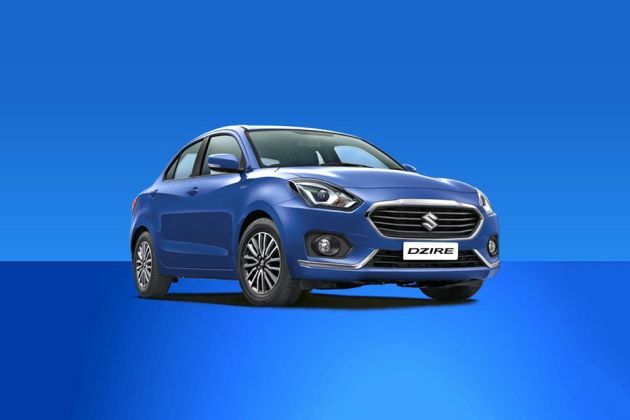 As far as safety is concerned, all variants of the Dzire, including the ZXi petrol AMT, come with dual-front airbags (driver and front passenger) along with ABS (anti-lock braking system), EBD (electronic brake-force distribution) and brake assist. Further, the Dzire also comes with child seat anchors and seat belts with pre-tensioner and force limiter as standard. The ZXi variant additionally offers rear parking sensors, front fog lamps and rear defogger. The 1.2-litre K-series motor which powers the automatic versions of the petrol Dzire is one of the most common engines in Maruti's lineup. The 1,197cc, four-cylinder petrol motor puts out 83PS of max power and 113Nm of peak torque and is mated to a 5-speed AMT (automated manual transmission) in the Maruti Suzuki Dzire ZXi AGS automatic. The ARAI-certified fuel efficiency of the Maruti Dzire ZXi automatic is 22.0kmpl, which is identical to its 5-speed manual counterpart. The Maruti Suzuki Dzire petrol AMT automatic goes up primarily against the Hyundai Xcent 1.2 Kappa Dual VTVT automatic, Honda Amaze CVT and the Ford Aspire 1.5 automatic. Dzire is a nice vehicle with a lot of space. Good engine, excellent mileage, a lot of space for luggage two. The car is super value for money, super smooth, very comfortable. The only problem is its body quality is very cheap. I am using the Swift DZire VDI model since 2014. Very nice experience also average in the city is 19-20 km/hr and it is a medium budget car So go for it. Maruti Swift Dzire is one of the best car from Maruti. Best in class, great look, superb performance, Value for Money.